Like any cake, the first step is to choose your flavour combination! Since I wanted to do something seasonal and suitable for cold weather, I made a gingerbread cake (it was more like a molasses cake in the end. So rich!) with cream cheese frosting. I'm not going to include any recipes as part of this post, the recipe isn't the point. 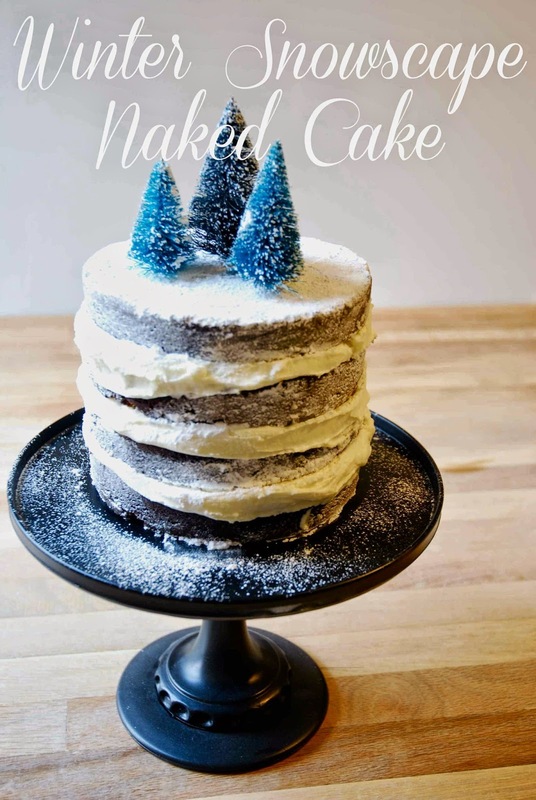 The naked cake can be made with any type of cake and frosting. 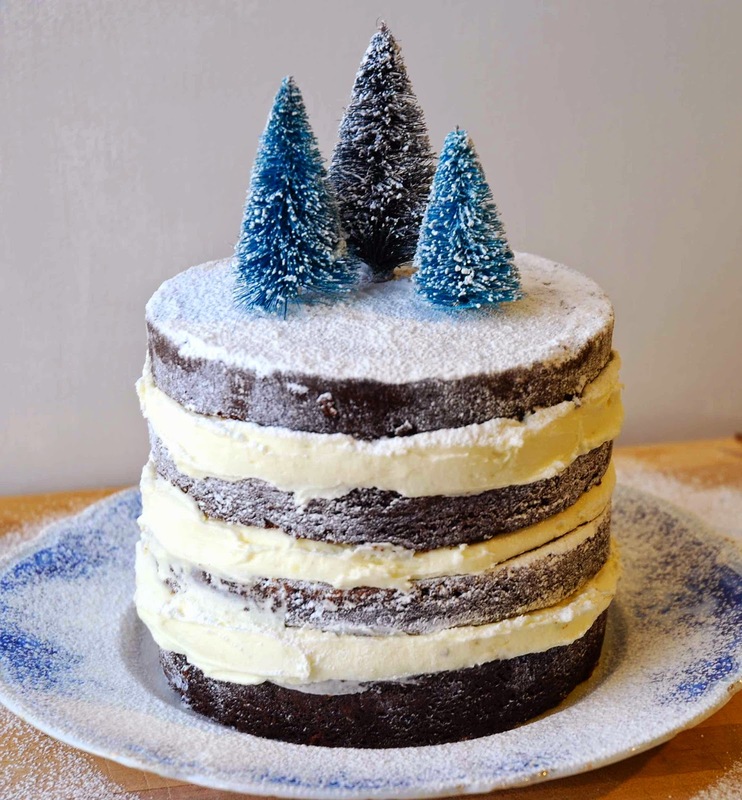 If you would like to make the same cake, I found this gingerbread cake recipe on the Good Housekeeping website. Feel free to use a boxed cake mix and a tub of icing! That's what I'll probably do next time! (Just whip the icing with a mixer to lighten it up a bit). Next, you'll want to decide what size of cake you'd like. I went with a 6" round. I baked the cakes according to the recipe, and let them cool completely. Once cool, I leveled each cake by cutting off the rounded top. Then I sliced each cake in half to give me a total of four cake layers. While the cakes were cooling, I prepared my frosting and transferred it to a large piping bag. I didn't have an icing tip large enough to work for this job, so I just cut the end of the bag and it worked fine. 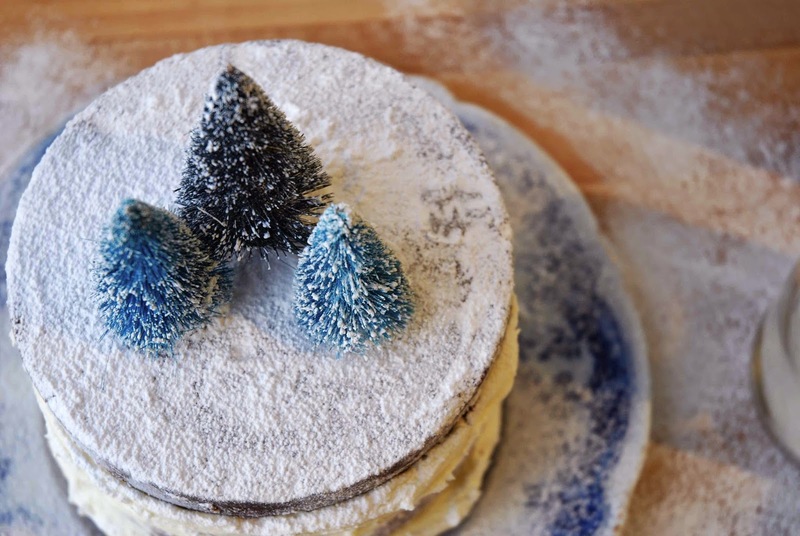 To assemble the cake, take the first cake layer and place on a small cutting board or tray (remembering to reserve one of the cake bottoms to be used as the top -or final layer- as the bottoms are the most level). 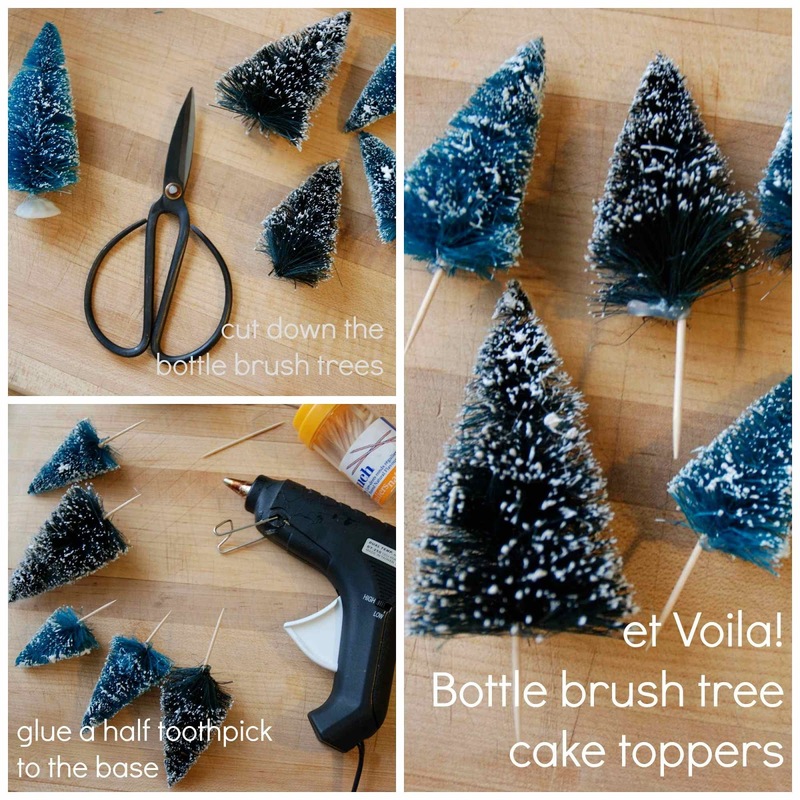 Pipe a border of frosting onto the cake, keeping as close to the outer edge as possible, then fill. 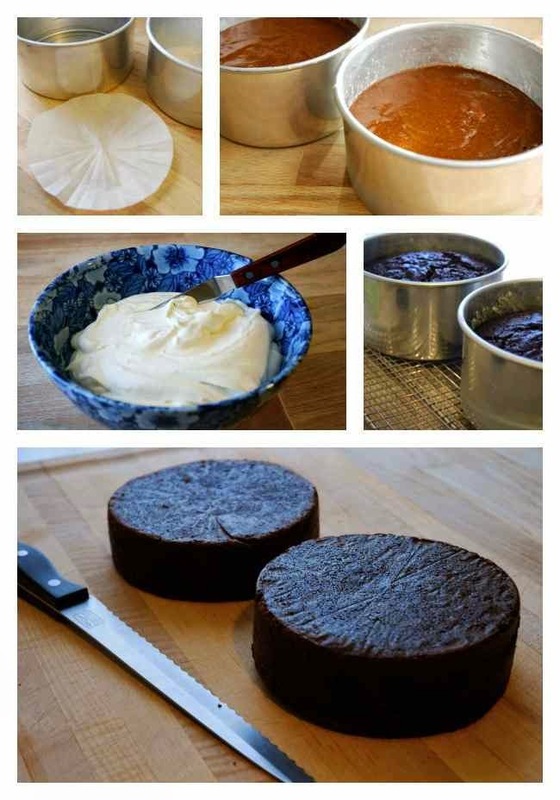 Pipe out a nice thick layer to maintain a delicious cake to frosting ratio. Top frosting with another cake layer. 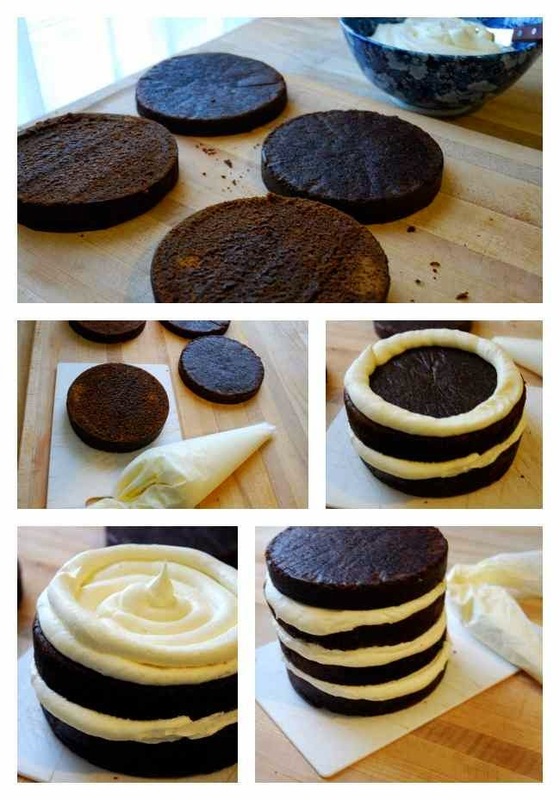 Place the cake onto the frosting gently, taking care to keep it centred. Press down on the cake layer to help the frosting 'ooze' out a bit. Repeat process until the entire cake is assembled. If you would like to add a layer of frosting on the very top cake layer, you should do so... because frosting is really really yummy. I decided to leave mine alone and top it with powdered sugar. On one hand, it looked pretty, on the other hand, there is no such thing as too much frosting. 1. As I said above, these cakes have tons of rustic charm, but be aware that their effortless look does mean using less effort. It is very easy to overwork the naked cake, and once you've fussed with it, you can't go back. Keep it easy breezy and embrace the imperfections. 2. 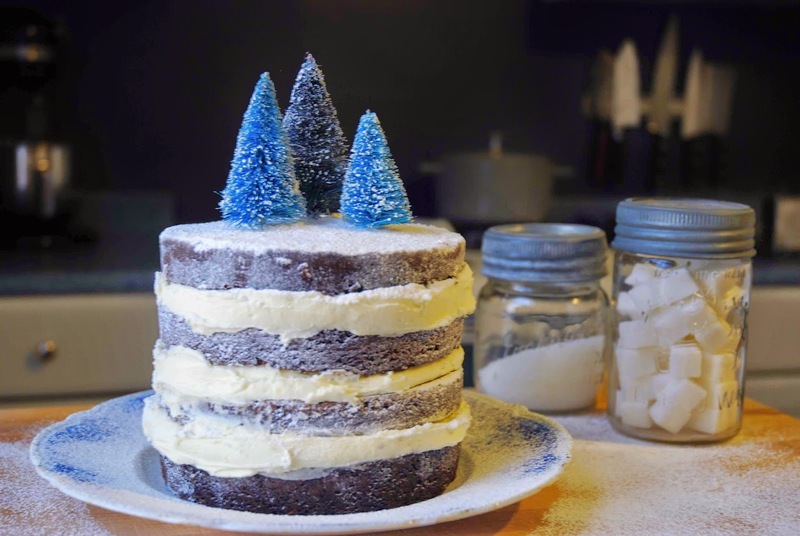 When piping the frosting, pipe it right along the very outer edge of each cake layer, if the frosting isn't right up at the edge, it won't puff out and look all scrumptious. 3. 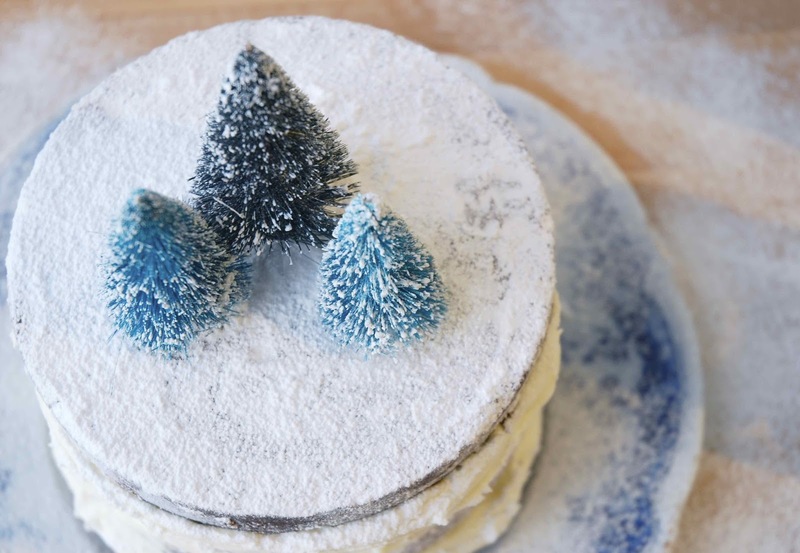 If during assembly or decoration the frosting gets too warm, gooey, and hard to work with, put the cake (and piping bag) in the fridge for 15 minutes to allow the frosting to stiffen up. I finished the cake with a good dusting of powdered sugar. To create this look, place a large spoonful of icing sugar in a sieve, hold the sieve above the cake and tap gently to release the sugar and make it snow!